As manufacturing becomes more intertwined with technology and automation, consider how you can support that advancement by developing future skills. 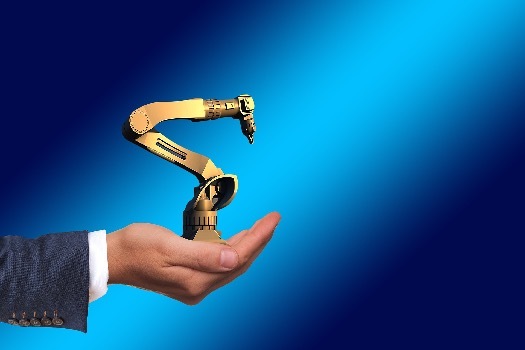 For instance, skilled workers who repair automated assembly lines, program the plant’s control systems or electronics, or even design robots for the plants will become invaluable. Developing the skills to support a large industry such as manufacturing, which has strong roots in the Ontario economy, is one way to ensure job security. In addition, much of the current workforce in manufacturing plants is approaching retirement age, so companies are actively recruiting those with machining, welding, robotics, and other skilled trades. These are full-time, highly desirable positions, with advancement opportunities and benefits. Because of the technological changes and the rapid pace of development and growth in almost all industries, one of the substantial advantages you can gain is in the learning itself. Because so many people are resistant to change, by willingly learning new skills and getting comfortable with constantly getting better, you’ll put yourself at the top of the pool of applicants. Developing new skills to increase the chances of getting hired might seem daunting at first. After a few years in the workforce, the thought of going back into a classroom can be scary. The good news is that there are so many options for skills development programs in Ontario, that you can find a method of learning that works for you. You’ll become more confident after going through with the training, and you’ll become more flexible as a person. Technology will continue to automate processes and make our lives and businesses easier, but that also requires constant learning, problem solving, critical thinking, and flexibility, which you will now be accustomed to, and which are all skills that support the future of working in a high-tech industry. From the tried-and-true learning models of college and university degrees and certifications to on-the-job training and apprenticeships, there is a skills development approach that will work for you. In addition, there is even tailored training in high schools that can help you direct your learning to a career in manufacturing. Edge Factor provides stories, resources, and education to help students connect the career they want with the skills they require. One of the objectives of the Eastern Ontario Manufacturing Workforce Development Project (EOMWDP), is to bring this resource into schools and help teachers, students, parents, and manufacturers make connections between manufacturing and education. Colleges provide apprenticeships in the skilled trades that prepare you for careers as a manufacturing technologist, electrician, or machinist, among others. The benefit to an apprenticeship is that you combine classroom learning with work, meaning you can start making money right away, while you develop your skills. Universities offer many manufacturing-relevant engineering programs that can lead to jobs in design, analysis, and plant management. Universities also offer science-based degrees, in chemistry or physics, which can lead to similar rewarding careers. These programs last four years on average and require substantial financial and time investment, which should be realistically considered before applying. A more direct route to getting the high-tech skills you need to work for a modern manufacturer is to contact one of many agencies that provide focused and efficient training programs. For example, the Elevate Plus program gets you up to speed and placed in a two-week trial with food manufacturers within six weeks of starting. Other jobs that you are applying for may provide on-the-job training, and could even use advanced training tools that help you learn faster, such as Area9 Lyceum. Future-proofing your career through skills development can take many forms, but if you make sure that you are learning the skills to support manufacturers as they invest in high-tech infrastructure, you will always be in demand. To learn more about the high-tech jobs that are actively being recruited for in eastern Ontario, download this infographic. You will also find out why the region provides everything you’ll need for you and your current or future family.